Martin Shkreli is under fire again. But it's not the feds on his case this time, it's a legendary rapper. 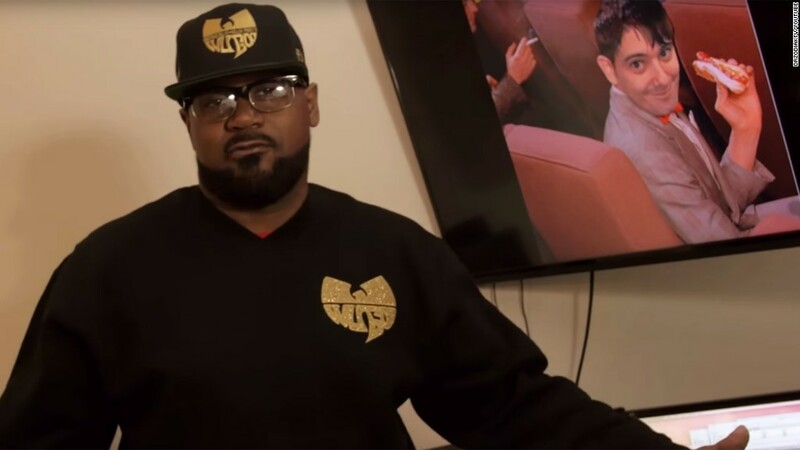 The Wu-Tang Clan's Ghostface Killah blasts the former pharmaceutical CEO on Tuesday in an 11-minute YouTube video. Shkreli hiked the price 5,000% while serving as the CEO of Turing Pharmaceuticals. In December, he was forced to resign from that position. "This is about AIDS right now," Killah says in the video. "This is what you did to the people. To the American people and the people all over the world. I stand for them, man. I'm not gonna allow you to keep killing these people." "What you need to do is get down with me and start helping these people out," Killah continues. "Gangstas, man, don't move the way that you move, man." Killah calls Shkreli a "fake Peter Pan," a "fraud" and a "fake super villain." In December, Shkreli announced he was the mystery buyer of the group's newest album -- only one copy was released and it was sold at auction for $2 million. The revelation came in the midst of a Senate investigation into Turing and just days before Shkreli was arrested for securities fraud. Killah also goes off on Shkreli for acting like the Wu-Tang Clan is a bunch of "washed up rappers" when Shkreli paid millions for the group's album, "Once Upon a Time in Shaolin." "You bought a washed-up rapper's album for $2 million," Killah says. "Who washed up now?" In the video, Killah tells Shkreli that "money don't make you a man" and wonders aloud about where Shkreli went wrong. It also features clips from Shkreli's appearance before a House Oversight Committee last week. Killah's mother and sister even make an appearance -- something Shkreli took issue with in a tweet on Tuesday. Shkreli criticized Killah, saying he'd "never seen someone real cry to his momma to handle his biz." Never seen someone real cry to his momma to handle his biz. Soft-serve ice cream rappers should shut they mouth before they get told again. --CNN's Dave Alsup contributed to this report.